VIBGYOR students have always excelled in every field. Continuing this tradition, 10 years old Anusha Menghani student of VIBGYOR High Malad-E has taken the mantle ahead. Anusha has been selected at the KidZania CounZil 2018. The appointment was posed of a rigorous selection process that comprised a written test, group discussion and a personal interview amongst more than 5000 children in the age category of 7 to 14 years across Mumbai. Each activity at KidZania is specifically designed by educators and child psychologists in order to aid and boost different behavioural skills and values in a child. 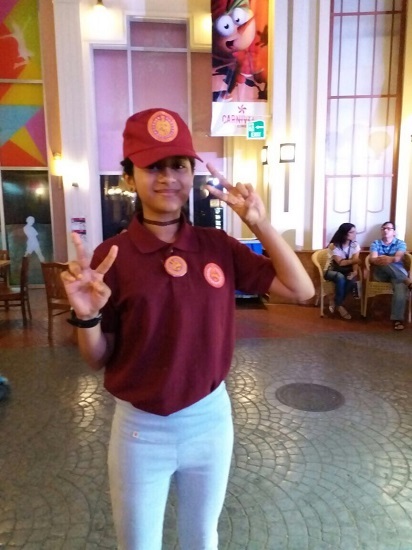 In her new role, Anusha will be actively participating in the management decisions of KidZania Mumbai and will be one of the decision makers for strategic changes undertaken at the indoor theme park during the year.